When parties agree to enter into a contract they do so with the objective of ensuring that the purpose for which they got into the contract in the first place is accomplished. However, albeit all might be well between them while signing the deal, circumstances can quickly change leading to even the best of allies to a dispute, thereby precipitating the contract being put to an end. One such way this can happen is by way of termination. When embarking on a new project, termination is often the last thought that crosses the parties’ minds and is, therefore, often given relatively short shrift in the contract drafting and negotiation stage. In the current economic climate, however, given the uncertainties that can plague even the most well planned businesses, contract termination is a potential outcome parties simply cannot ignore. These clauses are inserted with a view to allow one or either of the parties to evade or discontinue its contractual obligations based on the conditionalities stipulated therein. The operation of such clauses can, therefore, have serious ramifications especially against the party whom it has been invoked. Termination clauses can, therefore, be distinguished into two kinds. (i) With cause and (ii) Without Cause. Termination clauses that do not provide any cause or reason to the other side are generally known as termination for convenience clause, i.e., allowing one party to unilaterally put an end to a contract/agreement based on its volition. These clauses hence, contain no limitation on the circumstances under which one party can exercise this right to evade its obligations. Before we advert to the enforceability of such clauses in India it will be germane to refer to its’ history and evolution. These type of clauses found its pedigrees from the United States wherein during World War I, the federal government introduced this concept as a methodology to allow it to circumvent or back out from any of its contractual obligations and thereby avoid costs, which according to its discretion had become redundant. This principle was first validated by the United States Supreme Court decision over 140 years ago in the case of United States vs Corliss Steam Engine Co., 91 US 321 (1875), wherein the Court acknowledged the government’s right to terminate a contract when completion of the contract is not in the government’s best interest. The legal basis for this decision was that the unpredictability of the war justified the termination of redundant military procurements. This view was later extended to peacetime military contracts and to civilian procurements in the 1950s. In 1967 though, this view was extended to situations where the expectations of the parties were substantially altered after contract extension. (Nesbit vs United States, 345 F.2d 583 (1965). Subsequently, in 1974, the United States Court of Claims in Colonial Metals Co. vs United States, 204 Ct.Cl. 320, 494 F.2d 1355 (1974), allowed a termination for convenience where there were no altered circumstances and the government terminated the contract before performance for a reason that was known to it prior to awarding the contract. This decision was highly criticised due to the Court providing unfettered discretion by use of such termination clauses that were viewed as an absolute right of the government. However, the landmark decision in Torncello v. The United States, 231 Ct. Cl. 20, 20, 681 F2d 756, 759 (1982), changed the interpretation of such clauses and led the way in providing a path breaking solution. In Torncello, the Court of Claims articulated a seemingly broad limitation on the government's right to terminate a contract for convenience. In this case, the Navy was awarded an exclusive requirements contract for janitorial and other services including pest control to Soledad Industries. Soledad's bid was unbalanced, bidding $500 per call on one of the pest control items. The Navy accepted the entire contract knowing full well that the same services could be availed at a lower price from an in-house Navy organization. The Navy then proceeded to procure pest control services from the in-house organization, even though Soledad had offered to reduce its price for this aspect of the contract. The contract subsequently was terminated for default. The Navy claimed, and the Armed Services Board of Contract Appeals (ASBCA) agreed, that "constructive convenience termination" was available as a valid excuse for procuring the pest control services from the cheaper source. (Soledad Enter's., ASBCA No. 20376, 77-2 B.C.A. (CC1-1) 12,552; see also 681 F.2d at 756, 759-60 (1982). An appeal of the ASBCA's decision was made by Soledad's bankruptcy trustee Torncello to the U.S. Court of Claims. Three judges formed a plurality opinion and each of the other three members of the en banc panel wrote concurring opinions. In the plurality opinion, the Court of Claims ruled that the government could not invoke the Termination for Convenience Clause merely to escape its contractual obligations to purchase goods or services (681 F.2d at 772). The Torncello plurality expressly overruled the Colonial Metals case (Supra). The Court stated that the government may not terminate a contract for convenience without a "change in circumstances," between the time of contract award and contract termination, which justified such action. Without a limit on the government's right to terminate, the contract would become "illusory and, therefore, unenforceable." The government's improper termination for convenience constituted a breach of contract allowing Torncello to recover lost profits. Subsequent to this decision, it was in the case of Questar Builders, Inc. v. CB Flooring, LLC, 978 A.2d 651, 675-76, 410 Md. 241, 281-82 (2009), that introduced the land mark principle of “good faith” which was particularly significant in cases of private contracts. In this case, Questar Builders (Questar) was hired as general contractor to construct a luxury mid-rise apartment and town home complex. After receiving bids from three flooring subcontractors, Questar selected CB Flooring, LLC (CB) to install carpeting for the project at a total contract price of $1,120,000. After entering into the subcontract, however, the interior design firm working on the project changed the carpets to be installed in certain portions of the project. Questar immediately sought a price quote from one of the previous bidders, Creative Touch Interiors (CTI), “assertively because it was trying to keep CB honest on any requested change order.” Shortly thereafter, CB submitted a change order requesting an upward adjustment to the subcontract price for the carpet change. CB’s change order request was for more than the price quote provided by CTI. Questar terminated the contract with CB and issued the contract to CTI. CB filed suit against Questar for damages, including lost anticipatory profits. The trial judge concluded that Questar improperly terminated the subcontract and awarded expectation damages to CB, considering and rejecting Questar’s contention that “it enjoyed a right to terminate the subcontract for any reason based upon its termination for convenience clause in the subcontract.” Further, the trial judge specifically found that Questar’s assertion that its “subjective loss of faith in CB’s ability to perform satisfactorily satisfied whatever implied limitations there might be on the exercise of the termination for convenience clause” was without merit, and instead held that something more objective was required to satisfy the good faith limitation. The aforementioned is one of the only Courts to rule on termination for convenience clauses in the private context, and the most recent decision. Questar is concerning from a terminating owners and contractors perspective because it suggests that despite including a termination for convenience clause in your contract, a party is still going to have to show some element of cause to get around the duty of good faith. Specifically, it suggests that even if one would have a change in circumstances or the project requirements or scope that may not be enough to justify termination. It further suggests that termination for convenience clauses in the private context are going to be carefully scrutinized with disfavour. 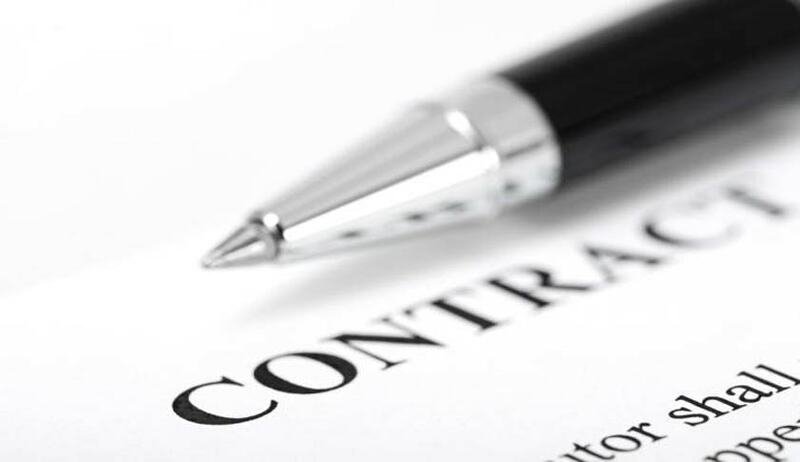 The government retains broad discretion to terminate a contract for convenience. The decision to terminate cannot however, be exercised in “bad faith,” i.e., merely to get a better price for the work or to “punish” or avoid dealing with a particular contractor. Improper termination for convenience is a breach of contract for which the Courts will award lost profits as damages. Federal prime contractors should insert termination for convenience clauses in their subcontracts in order to protect them from liability to the subcontractor should their prime contract be terminated. Compared to the above scenario, when we come to the Indian context, the interpretation and application of such clauses changes drastically. Section 14(1)(c) of the Specific Relief Act, 1963 is squarely applicable while analysing the enforceability of such clauses. Section 14 deals with those agreements/contracts that cannot be specifically enforced. Therefore, a reading of the above decision would make it clear that once a contract becomes determinable or is put to an end at the option of either party, the same cannot be enforced by a Court of law. The very purpose and intent for seeking of specific performance is so that the wronged party is not put at a disadvantage for the sudden termination of the contract that too without any cause or justification. One option that is certainly available is to claim damages for the losses caused. But the wronged party would sometimes rather prefer the other side to comply with and perform its end of the bargain and approach the Court by seeking specific performance of the contract to direct the other party to perform its obligations under the contract while also restraining the other party from committing the breach of contract. Unfortunately however, due to the statutory bar under Section 14(1)(c) and the various strict interpretations of the Courts, the aggrieved party is at liberty to only claim damages for the wrongful termination if any. Additionally, as per Section 41(e) of the Specific Relief Act, an injunction for breach cannot be provided where the contracts are not specifically enforceable. The following judgements will help provide a better understanding of how Courts have tackled such clauses in India. The law with regards to specific performance of determinable contracts was first laid down by the Supreme Court of India in the case of Indian Oil Corporation Ltd. v. Amritsar Gas Service and Ors (1991)1SCC533, wherein the Court held that a distributorship agreement which contained a clause that entitled either party to terminate the agreement with thirty days prior notice and without assigning any reason was "determinable" in nature and hence, could not be specifically enforced. This view has further been reiterated by the Supreme Court in the case of Her Highness Maharani Shantidevi P. Gaikwad v. Savijbhai Haribhai Patel (AIR 2001 SC 1462), wherein it was observed that an agreement for construction unilaterally terminable before delivery of possession to be "determinable" in nature,. The case of Atlas Interactive (India) Pvt. Ltd. v. Bharat Sanchar Nigam Limited (126 (2006) DLT 504), however, is a unique and a significant decision that has not been referred to by Courts regularly. In this case, the petitioner had entered into a franchise agreement with the Respondent No. 1 for providing broad band services on T.V., the existing copper network of the Respondent No. 1 in different places. The Court took into consideration the submission that even though the contract may be determinable in nature, however as it was for setting up a unique project for which the petitioner had procured tailor made equipment which could not be utilised anywhere else, specific performance may be ordered. Undoubtedly, in this case the contract was between a private party and the Respondent No. 1 which was held to be an “instrumentality of the state” and consequently the respondents were required to ensure that their actions were not arbitrary and were reasonable. The Court also held that the breach of contract to transfer these goods cannot be relief of payment of money in lieu thereof and that there could be no standard of ascertaining the loss caused to the appellant by not displaying the live programmes of the Star Sports channel. In these circumstances, it was held that such a contract would be specifically enforceable under Section 10 of the Specific Relief Act, 1963 and read with explanation (ii)(a) thereof. Even otherwise, it was held to be covered by Section 10(b) of the Act. In these circumstances, an injunction restraining the Respondent No. 1 from terminating the agreement between the parties was granted. Similarly, there are certain cases wherein the Courts have held clauses as not being determinable in nature. In the case of Orissa Manganese and Minerals Pvt. Ltd. v. Adhunik Steel Limited (AIR 2005 Ori 113) the High Court of Orissa in its judgment observed that the termination in clause in question stated that either party had to before termination of contract serve notice of 90 days to the other party to remedy the breach as not determinable and hence, held the same as specifically enforceable. The Court held that, occasion of such nature never arose and hence the contract was not determinable unless the condition therein was fulfilled and thereby Section 14 (1) (c) was not attracted. In Rattan Lal (since deceased) v. S.N. Bhalla and Anr. (AIR 2012 SC 3094), when the matter was initially before the High Court of Delhi, it was observed that an agreement to sale with a clause that the same shall be terminated if the requisite approvals are not received within six months, to be determinable and hence, not specifically enforceable under the Act. The Supreme Court, however, in its decision on appeal observed that the relevant clause of the agreement in question was never meant to provide the obligated party with an escape route if they themselves failed to discharge their responsibility and that in the absence of any material on record to show that they had made positive efforts for procuring the necessary sale permission and clearance certificates, they were not entitled to determine the Agreement and hence the agreement was held to be wrongly terminated. However, due to the steep hike in the real estate prices the Court instead of decreeing the suit for specific performance decreed the suit for costs to the Appellant. Some other cases interpreting determinable clauses: Indian Oil Corporation Ltd. v. Freedom Filing Station (2011(I)ILR-CUT93); Ministry of Road Transport and Highway, Government of India v. DSC Ventures Pvt. Ltd. (2015(2)ARBLR142(Delhi); Crompton Greaves Ltd v. Hyundai Electronics (1 (1999) CLT 25); Indian Oil Corporation Ltd. v. Shriram Gas Service (57 (1995) DLT 279); Gujarat Chemical Port Terminal Co. Ltd. v. Indian Oil Corporation of India (MANU/MH/0666/2016). It, therefore, becomes amply clear that seeking enforcement or specific performance have time and again not been entertained by the Courts in view of the statutory bar; the only other alternative being claiming damages. However, there is a necessity to evolve and develop a principle as was similarly done in the case of Questar (Supra), wherein the good faith principle was developed. The Court in Atlas (supra) has in a way indirectly and without being aware of the decisions in the United States applied the principle of “good faith” while interpreting such clause, as it was a contract with an instrumentality of the State. The Court clearly drew a distinction between 'private commercial contracts' and 'contracts of private parties with governmental authorities' but observed that the principle that injunctions cannot be granted to prevent a breach of terminable contracts apply to 'private commercial contracts' as was held in the Rajasthan Breweries case (Supra). The Court in its reasoning however observed that having regard to the fact that one of the contracting parties, the defendant, was an instrumentality of the State, it must act in a fair, just and equitable manner and that the freedom that is available to a private party in private contracts, in respect of the performance of contractual obligations, is not available to the State or its instrumentalities in the same manner because every action of the State has to be just, fair and devoid of arbitrariness. However, analysing the above paragraph in its proper perspective, with great respect to the reasoning of the Court in Atlas, the principle of “just, fair and devoid of arbitrariness” should also be equally extended to private contracts even though they might not come under the ambit of the State. Although parties are free to enter into contracts of their choice and Courts are to seldom interfere with their operation, it is still their duty to ensure that if any provision is arbitrary or unjust and if the situation warrants the Courts to interpret the same based on the facts and circumstances of a case, to disallow the enforcement of such clauses. This will thereby lead to parity among parties, while also protecting the wronged party for no fault of its own. In fact going by the decision in Questar (supra), the Courts in the United States are more lenient towards the Government’s exercising termination without cause in comparison to private contracts. However, in India, the situation is quite conflicting and the Courts should develop a balance between the two. Therefore, Courts should take a sincere effort in applying and encompassing the principles of fairness and good faith to private contracts as well. However, although contracts that can be terminated without any cause have been held to be void based on the above observation, the application of the foregoing decision can be restricted to only a relationship as between an employer or employee or wherein it can be established that one party has a superior bargaining power. This principle, however, will not apply where the bargaining power of the contracting parties is equal or almost equal or where both parties are businessmen and the contract is a commercial transaction. Therefore, the only alternative for such a party who has suffered from the wrongful termination is by way of claiming damages. When any party enters into a contract, ample care and caution must be given to among other clauses, the termination clauses, as witnessed by the strict interpretations by Courts in the foregoing paragraphs. Parties, especially those who sign standard form of agreements, should ensure that such clauses, which are one sided or do not provide any notice or opportunity to the other side to rectify their mistake or omission, should not be agreed to. If parties have agreed to insert such clauses in the contract, it must be permitted to be exercised only under extreme situations wherein if one party does not terminate the contract, it will face huge financial losses or due to reason of force majeure (i.e change in circumstances). However, even such situations have been held in disfavour by Courts in the United States. The wronged party should also gather the necessary evidences to establish that the contract has been wrongly terminated as Courts don’t award damages just because a party has terminated a contract. Some substantiation of loss should be demonstrated to justify claiming damages. To avoid the above problem, parties can also add as a supplement to the termination clause stating that in the event one party puts an end to the contract and does not perform its obligations as stipulated, then the wronged party will be at liberty to claim for liquated damages, which amount can be reflected in the clause itself. This will ensure that the party intending to discontinue the contract to think twice before doing so. Alternatively, a clause can also be added to mention that the party committing the wrongful termination must compensate the wronged party by refunding any advance payments made on a pro rata basis that was paid in the event work hasn’t commenced or appropriate based on the commencement. This will usually be applicable for construction or real estate contracts. Although Courts are bound by the statutory bar as per Section 14, the principle of good faith (or natural justice) as propounded in the United States should be developed and extended to private contracts as well. Even, if the Courts before whom such applications come are not willing to apply it, then the Court/forum before whom damages are sought should apply the principle while computing the loss. It is also an apt time for the Legislature to have a relook at this provision in particular, considering the various developments internationally. The responsibility can be cast on the Courts to use their discretion, while applying the principles of natural justice when hearing such matters. A change is also essential in view of the several commercial contracts that are entered into in this modern day and age. Argument that the contract was illegally terminated or that the clause is void might not work in case of commercial contracts/mercantile contracts in view of the decision of the Supreme Court in Central Inland Water Transport (Supra). Therefore, parties are to be careful and give ample importance while drafting such clauses in view of them affecting a party’s right in the future.